Thom Yorke announced the details of the new Atoms For Peace record today. If the past is any indication, they’ll be playing some shows at Roseland which will go on sale and be announced very close to each other. 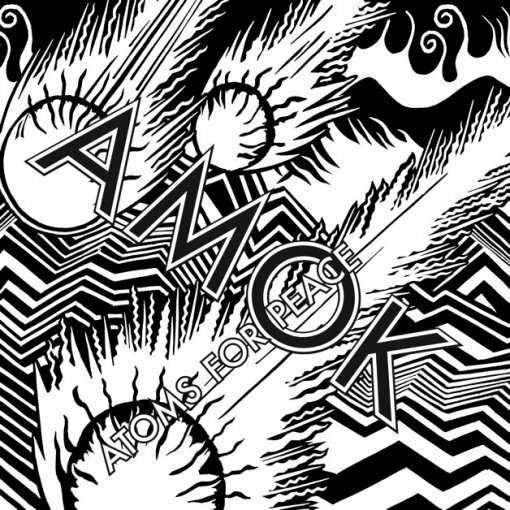 So finally I can tell you the Atoms for Peace record is coming out on the 25th February, it’s called Amok. The front will look like theez..
It’s a while to wait i know so i’m sure some other things will occur before then. We formed to learn to play The Eraser record, if you don’t know that, and discovered a really good energy doing that… and it fell into this record. I’m still reeling from being on tour for much of the year but we are planning to get together and play etc next year ! We’re figuring all that out right now.